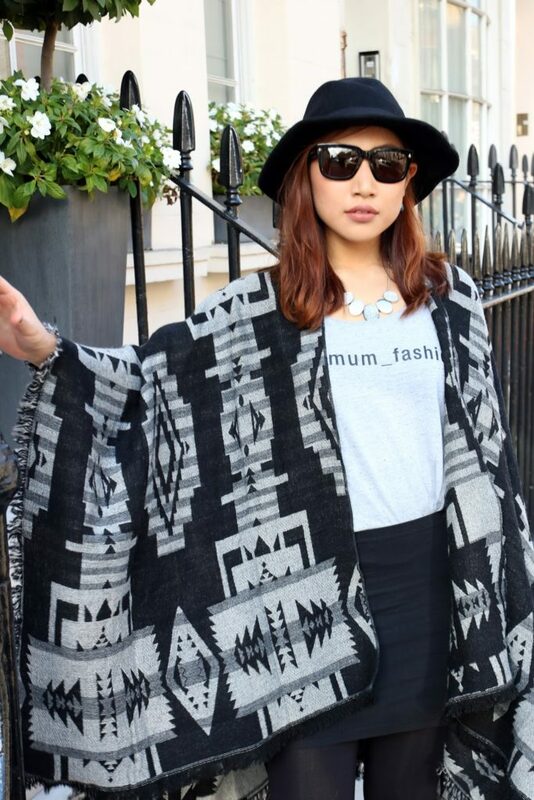 This Becksondergaard T-Ethnic Cape has been a life saviour for me this month! I’ve been wearing it almost everyday indoors and outdoors. 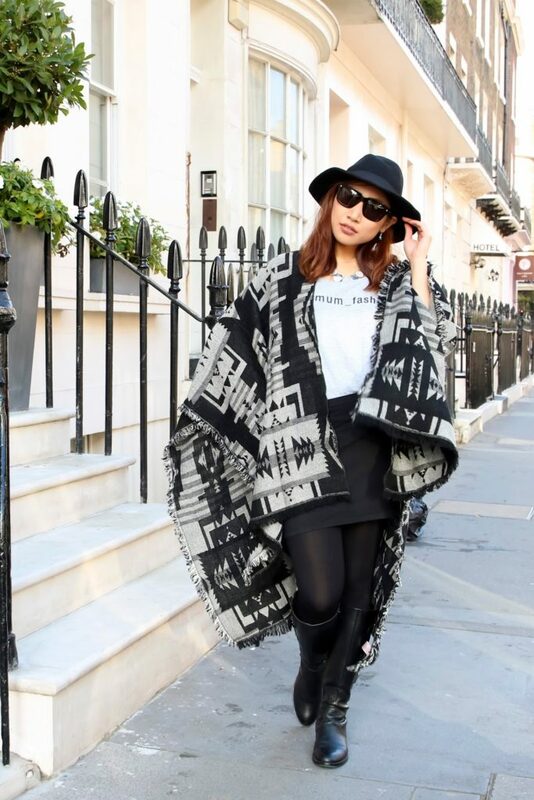 It’s really nice to lounge around in, but it’s also an amazing outerwear! It flows perfectly when I’m walking around in it and it looks gorgeous with or without a belt. When I’m outside, I like to keep the belt on so it doesn’t “fly away” and when I’m at home, I simply drape it on like a blanket. 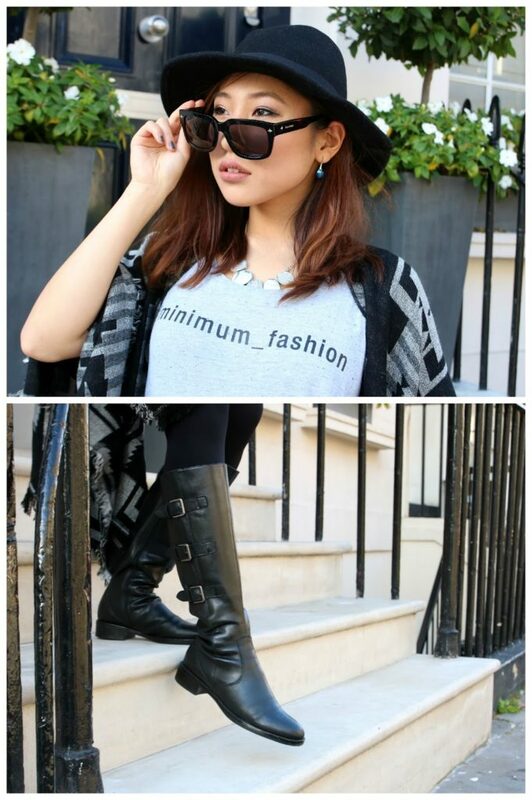 As for the outfit here, I kept it minimal with a black & grey Scandinavian fashion theme! Besides, most of the brands I’m wearing here are from Scandinavian fashion brands; tank top from Minimum Fashion and boots from ECCO Shoes. Not to mention, Becksondergaard is also a Scandinavian fashion and lifestyle brand founded in 2003 by Lis Beck and Anna Søndergaard. The main aim of this brand is to create modern and stylish accessories including scarves, bags and capes with hand-drawn, art like, prints. Becksondergaard works with a lot of brands including Coco Cola to create the perfect print for various projects and this time they teamed up with the movie Miss You Already, which was released on the 25th September to create an exclusive print for the film. I personally think that this cape looks like a piece of art! So what’s your thoughts on Scandinavian fashion and have you watched the film Miss You Already? If you haven’t heard of the film before, make sure to watch the trailer! *Disclaimer: This is a collaboration post, but the words other than those quoted are my own.